Max Verstappen has not been the most willing to front up to his mistakes in the past, but after having a problem at each race of the 2018 Formula 1 season so far does he need to change his approach? Max Verstappen has pretty much walked on water since he sailed into Formula 1 as a 17-year-old and began tearing up convention and rewriting the rulebook (sometimes literally) that governs what it means to be a top-class modern grand prix driver. Much of the adulation is thoroughly deserved. For the most part, his driving has been utterly outstanding. But there is a streak of almost arrogance in Verstappen's brilliance - an unshakeable self-belief that he is the best in the business, or at least a cast-iron inner-certainty that he one day will be. As a consequence, Verstappen carries with him a Senna-esque sense of his own infallibility. It's easy to see how we got here. Verstappen has earned this reputation because he walks the walk as well as talking the talk: driving around the outside of Felipe Nasr at Blanchimont in 2015; doing the same to Sergio Perez at the Senna S a few races later; battling the Ferraris with an inferior Toro Rosso at that year's crazy United States Grand Prix; winning on his Red Bull debut in Spain the following year; making most of the field look second rate in the wet in Brazil in 2016; the list goes on. Verstappen is a driver who makes things happen and stands out from the crowd, which is tough to do in a category where all the drivers are extremely good but simultaneously limited by the particular technical make-up of the cars they drive. It is not without merit that Red Bull team principal Christian Horner calls Verstappen 'F1's most exciting driver', or that he is now on megabucks with one of the three best teams in the business, aged just 20. But for all the wonderful moments, there is also a mounting stack of evidence to suggest an infuriating impatience to Verstappen's driving that borders on a psychological flaw: lunging impulsively inside the Ferraris at the first corner at Spa in 2016, having wheelspun away his first front row start in F1; trying to come around the outside of both Valtteri Bottas and Kimi Raikkonen in one move at Barcelona last year. Add to that driving into Red Bull team-mate Daniel Ricciardo at Turn 2 in Hungary, having lost crucial ground at the start, and even his brilliant win in Mexico at the end of last season required his left-rear tyre somehow surviving needless contact with Lewis Hamilton's front wing. To a large extent, Red Bull has enabled this behaviour by consistently defending Verstappen in the face of all criticism. In the early days, this was understandable. Verstappen was a young upstart, promoted to a frontrunning team after just 23 races - an interloper at the sharp end of the grid who naturally needed a certain amount of protection from the big beasts he was prone to provoking with his electric pace and forceful racecraft. But at a certain point this necessary self-defence has strayed into ridiculous denial of blatant facts. In Australia, Verstappen got uncharacteristically mugged by a rival at the first corner, which left him stuck behind Kevin Magnussen's Haas. Instead of showing the requisite composure and biding his time, Verstappen overdrove trying to make an impossible instant recovery. He went off the circuit and damaged his car over a kerb. But instead of owning up to this misjudgement, the car damage was blamed for all ills. In Bahrain, Verstappen careered into the barrier in Q1 after what he and Red Bull called a 150bhp "power surge" from the Renault engine that caught Verstappen out. Later, it transpired Verstappen lost control of the motion of his right foot when bouncing over a kerb and hit the throttle too hard, which sent him off the track. In the race, he unnecessarily ran Hamilton out of road on the second lap and picked up the puncture he should have got in Mexico. Hamilton called Verstappen a "dickhead"; Verstappen refused to accept blame. Why the reluctance to own up and admit fault? The initial explanations of the qualifying shunt indicated mechanical fault (which Renault later denied), or at the very least created enough ambiguity to suggest car rather than driver might be to blame. This maybe seems innocuous - a storm in a tea cup, as the saying goes - but it has the corrosive effect of discouraging a driver who is still very young and still developing from acknowledging his own mistakes, admitting them and learning from them. 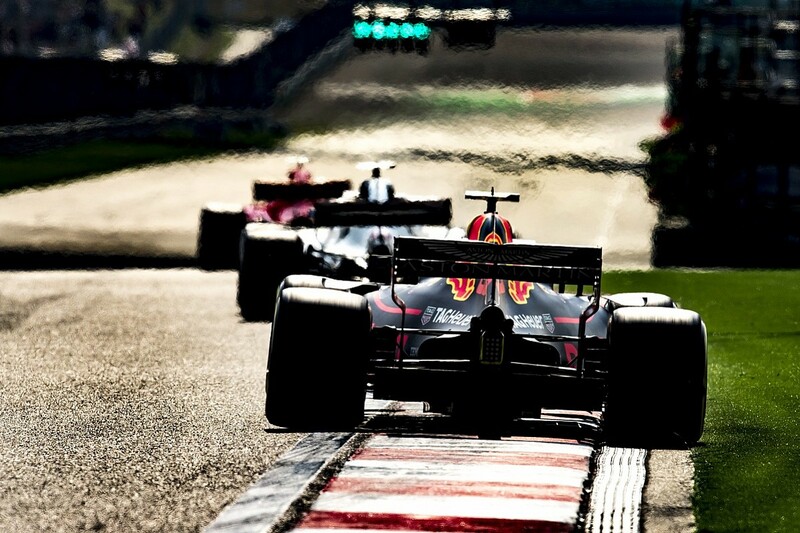 But it seems this protective shield was finally penetrated in China, as the latest episode of Verstappen's over-aggressive antics and impulsive impatience caused him to run off the circuit while optimistically trying to overtake Hamilton on the outside line, then collide clumsily with Sebastian Vettel's Ferrari after an ill-judged lunge at the hairpin. This race showcased the best and worst of Verstappen in one screening. 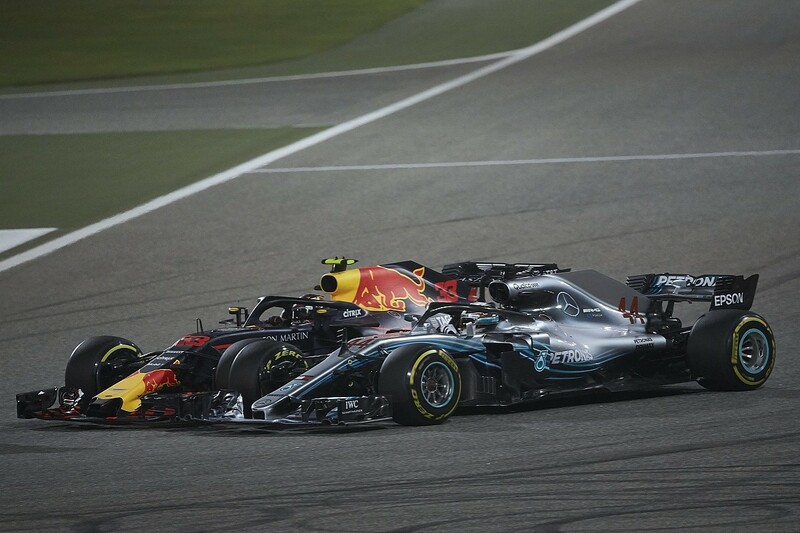 After a brilliant opening lap, where he opportunistically passed both Hamilton and Raikkonen to run third, Verstappen was in prime position to win once Red Bull pulled off its brilliant strategic gambit under the safety car. But Verstappen threw that golden chance away with his own mistakes, ending up a penalised fifth as team-mate Ricciardo - running just behind him after the stops - superbly stole the show with the sort of impeccable judgement sorely lacking from Verstappen. This time there was nowhere for Verstappen to hide, and to be fair he was the first to hold his hands up and apologise - a gesture that Vettel made a point of showing his appreciation for. As a driver so used to believing he is always in the right, this can't have been easy for Verstappen, but it was long overdue and much needed. As Vettel pointed out, Verstappen has experience now that belies his age. 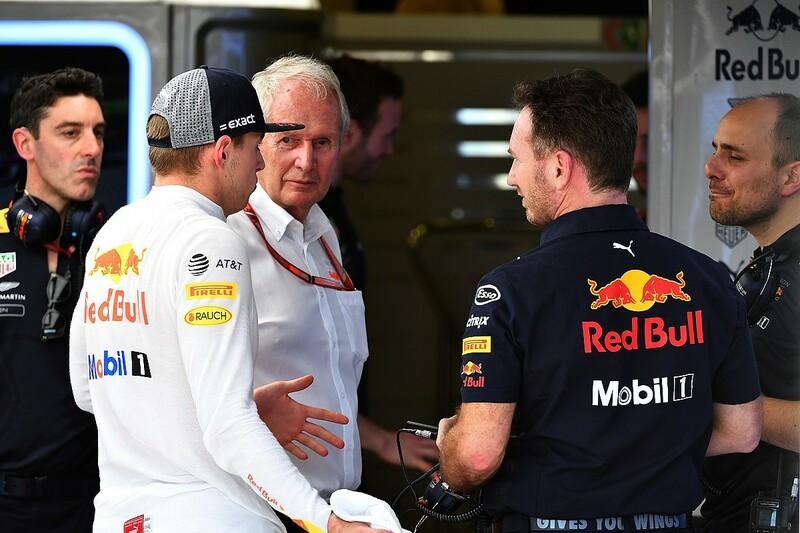 Interestingly, even Red Bull did not blithely back its own charge on this occasion - with the team's motorsport advisor Helmut Marko actually making a point of publicly criticising his golden boy for "giving away" his chance of victory. Two years ago, Marko was saying that Verstappen could afford to be more patient, and maybe his own patience finally snapped for a moment. Even Max's father Jos piled on, telling Dutch TV that his son "has to think more" in the heat of battle. Horner compared Verstappen at this stage of his career to Vettel in 2010, when the German was still making mistakes on the brink of that extraordinary charge to four consecutive world championships, and said he was "fully confident" Verstappen would take the necessary lessons on board. "He's a phenomenal talent, he's smart enough to recognise areas he needs to work on," Horner says. "I've got no doubt he'll address that. His talent is extremely obvious, his bravery and racing instinct is not in doubt. Obviously, his judgment [in China]... he was too impatient, and he will learn from that, I've got absolutely no doubt." This could be considered a pivotal moment for Verstappen. He's just watched his team-mate win a race that he himself should have taken but for a spectacular implosion. Ricciardo's obvious capacity to read a race, to stay calm in the face of adversity, to perfectly pick his moments with impeccable timing, are a real lesson for such an impulsive driver as Verstappen - if, as Horner claims, he is willing to learn. For all his outstanding ability, the first three races of this season have suddenly exposed Verstappen after a sequence of bad judgements and mistakes. Red Bull is no longer automatically protecting him either. Ricciardo's impeccable driving is, by contrast, putting Verstappen under even more pressure. 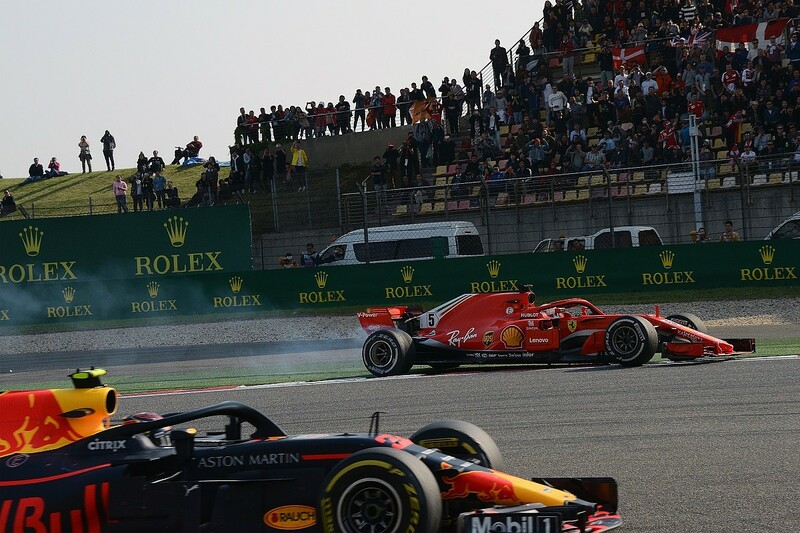 It's to his credit that Verstappen realised the error of his ways in China, apologising to Vettel and accepting the requirement for self-analysis before the next race in Azerbaijan. He needs to find a way to better judge those critical moments in a race, both good and bad, without compromising the attacking qualities that make him such an outstanding driver in the first place. Ricciardo often says he himself was too conservative when he first arrived in F1, but forced himself out of his shell upon promotion to Red Bull in 2014, because he realised he couldn't afford to get pushed around by the other frontrunners. Verstappen seems to have the opposite problem - a need to somehow rein things back having started his career in super-aggressive style. Verstappen now needs to demonstrate that this poor start to 2018, which leaves him eighth in the championship (behind Fernando Alonso and Nico Hulkenberg), is merely a blip rather than indicative of something more fundamentally troubling. The protective bubble Red Bull has built around F1's most exciting driver has finally burst. Now it's time for him to react. Ben Anderson is Autosport's F1 Editor, and official track tester and tame racing driver. He holds an undergraduate degree in journalism studies from the University of Sheffield and joined the title in March 2008, after eight months working in local newspaper journalism for award-winning weekly the Surrey Mirror. He worked on Autosport's national desk before moving up to F1 in '14. He has raced karts and cars since the age of 11 and has tested or raced more than 100 different examples during his career so far.